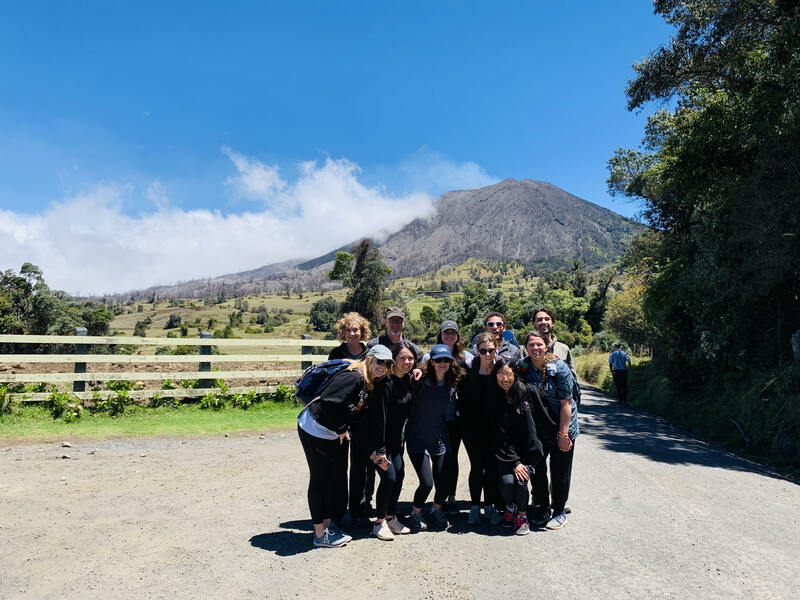 In Costa Rica, the class worked with the Centro Agronómico Tropical de Investigación y Enseñanza (CATIE), which is a regional center in Costa Rica dedicated to research and graduate education in agriculture, and the management, conservation and sustainable use of natural resources. In collaboration with CATIE, Red de Emprendedoras del Turismo Sostenible de Turrialba (RETUS) is a network of female entrepreneurs focused on experiential rural tourism offerings as a means to help provide sustainable livelihoods to the three involved communities in Central Costa Rica – Santa Cruz, Guavabo and Mollejones. CATIE and RETUS are interested in better understanding the US market for sustainable rural tourism in Costa Rica as well as the development of a promotional marketing plan to successfully reach identified markets in order to grow and develop RETUS further. The class stayed in a small town called Turrialba on the CATIE campus. Over the course of three days, they visited the three communities and observed experiential tourism offerings in each location. The consulting nature of the course was focused on students engaging with the women entrepreneurs in terms of ecotourism, which means that tourists engage in local culture when on vacation rather than staying within the confines of a resort or hotel for the duration of their stay. 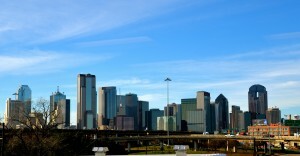 Students evaluated the offerings of each entrepreneur from a US – and specifically Texas – tourist perspective. 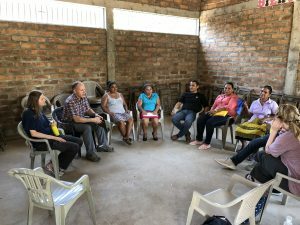 They spent time in each community taking detailed field notes and giving preliminary recommendations and then spent a full day with the class debriefing and identifying weaknesses and opportunities of the offerings in consideration of US customers. A grant from Southwest Airlines for plane tickets and scholarships from COBA, as well as the partnerships with Rotary International, CATIE, and RETUS made this trip possible and effective for the students and faculty that attended. 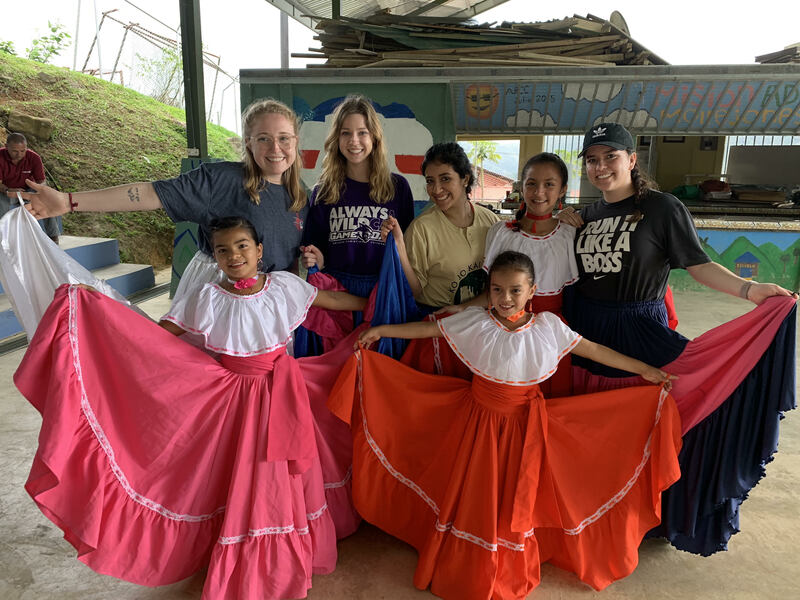 We are extremely proud of our students for choosing to spend their spring break applying their business skills to serve others in a global context. We look forward to watching how this class grows in the future and other opportunities our students will have to affect change. Lexi Koon, graduating senior accounting and major from Denver, Colorado. 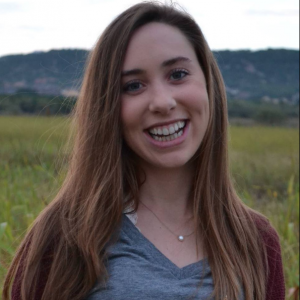 Lexi Koon is a senior accounting and management major with a concentration in entrepreneurship from Denver, Colorado. She is in the integrated Masters of Accountancy program and wants to pursue a career as a CPA after graduation. We asked Lexi a few questions about her time at ACU. Read her answers below! Q: How has your education at ACU, especially in your department, prepared you for the future? A: My education at ACU has taught me a lot about learning how to see the world from other people’s perspectives and to be a better listener. That applies primarily to my classes outside of my business classes such as my bible classes, my communications classes, and other electives I have had to take over the years. 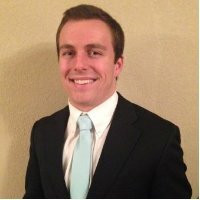 As far as my education in the accounting department, I feel as though I have been prepared by the accounting department to understand the technical skills I will need to further my career as a CPA. It feels really great to come out of four years of school and know that I actually have the skill sets to be successful in a specific field and to also know that I will use what I learned in those classrooms every day in my career. In the business management department, my professors prepared me for my future by exposing me to different aspects of business as a whole, they inspired me to set extraordinary goals and challenged me to dream big (like in entrepreneurship class with Jim Litton), and above all else, they prepared me by showing me they believed in me. Q: What has been your favorite thing/memory about your time at ACU and COBA? A: Wow, that is a really hard question. I don’t know if I can necessarily pick a favorite, but it’s more-so a combination of all the times professors tried really hard to make bad jokes in class, when they invited us over for “Grilleniums” or when they invited us to worship events at their church. My most cherished memories have been when professors stopped class to give us a “real talk” about life or when they shared what was going on in their lives to give us encouragement in ours. My favorite experience at ACU by far has been getting to have my professors over and over again in class and building relationships with them to where I know they actually care about their students. From book club with Dr. Laura Phillips to bible study with Dr. Easter, they all have made a huge impact on my life as a student at ACU. The professors at ACU are funny, they are thoughtful, they are kind, and they are beyond caring. Q: What was your favorite class in the accounting department? A: Answering this question is difficult because the professors are all so different. All of the professors are great and they all bring a different character to the classroom. Content-wise and professor-wise, I would have to say Income Tax with Dr. Fowler has been my favorite class as an undergraduate. I dreaded having to take that class because, well, who wants to learn about taxes? I found that Dr. Fowler is one of few people in the world who can actually make learning about tax fun. He made us laugh almost every day and he challenged us, but he also believed in us. I’m also currently in his Corporate Tax class in the MAcc program and I can say that may be the hardest class I have ever taken but I still love it because he teaches it and constantly re-affirms us that we can do it. Q: Who was your favorite professor and why? A: I spoke a little about Dr. Fowler in that last question, but to answer this question, Dr. Fowler was my favorite professor because he went above and beyond to make us know that we are more than just a number in his class. He is typically known for teaching some of the hardest classes in the accounting department but he is also the professor that sends us emails to tell us he believes in us, that he is proud of us, and that he is here for us. Almost every day in class, he tells us a funny story to make what should be boring content enjoyable, and several times throughout the semester he has stopped class to point out seasons of celebration in our own lives and other times he took the time to be real with where he’s at and the hardships that life faces us all. He made our classes become family and I would go back and take those extremely hard classes again as long as I knew he was teaching it. 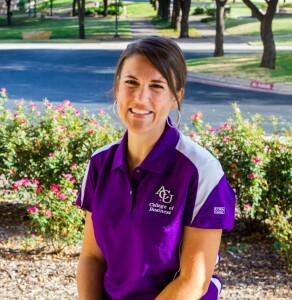 Q: If you could talk to a prospective student considering coming to ACU, why would you tell them to choose ACU? A: I would tell them to choose ACU because it is like no other college they will go to. 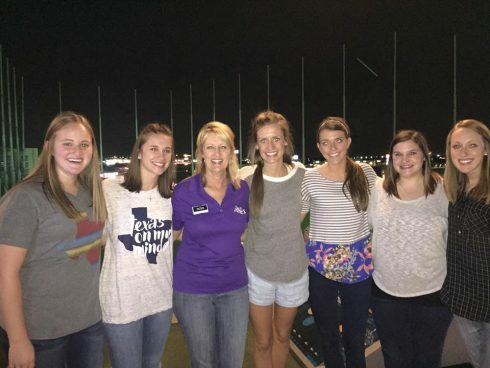 The “ACU Difference” is the community that you find along the way. This should be apparent in my responses from earlier questions, but the professors, the faculty, and the students have shown me what it is to look at those who are different from me and want to learn from them, to learn how to love them, and to be surrounded by a circle of people who have your back 100%. As I leave ACU, I feel completely supported and surrounded by an extraordinary amount of love and I am thankful. You will never be a number here. The first year is tough at any college, but as you continue to grow your experience here, you will walk around and be known, and that is what the walking in the Kingdom looks like. COBA professors and students were world travelers this summer, as we have covered in parts 1 and 2 of our blog series on our study abroad trips. 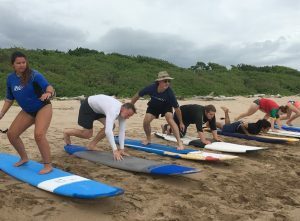 This July, professors Laura and Mark Phillips took students to Central America where they received course credit in MGMT 419 (Global Entrepreneurship) and MGMT 340 (Fundamentals of Life Design). We asked Dr. Laura Phillips to tell us about their experience. 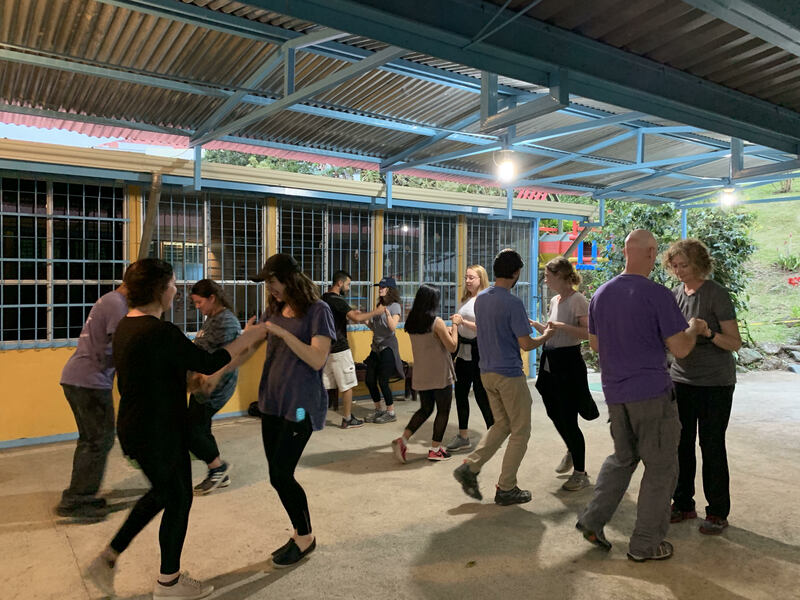 We hope you enjoy the third installment of our four part blog series on the 2018 travels of the COBA Study Abroad program. 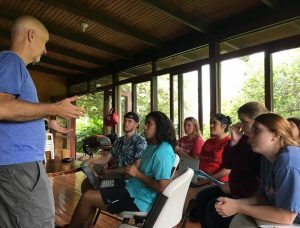 What made Central America a unique place to study? 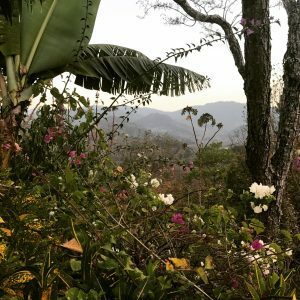 Central America is a unique place to study Global Entrepreneurship because while the culture, laws, and economic environment are different from the United States, Central America is a place with lots of start-up businesses. Also, the people are very hospitable which makes visiting start-ups easier. In addition, Central America is small geographically but the different countries are unique. Some of the challenges of starting a business in Costa Rica are different from the challenges of starting a business in Honduras. Finally, we were able to see first hand how the government can drastically alter the business environment; the recent unrest in Nicaragua is an unfortunate example of the instability inherent in emerging economies. What businesses were you able to visit? I’m not even sure where to start here. I guess I’ll just make a list. For the most part we visited with the entrepreneur (or an employee for the larger organizations) to learn about what they do, what the biggest challenges are, how/if they plan to grow, etc. Did you take the students on any sight seeing tours? Cultural scavenger hunt (milking cows, Latin dancing, making tortillas, etc. The students enjoyed the sightseeing activities. They were a lot of fun. What is it like to be able to spend so much time with students in another country? How does it differ than being in a classroom setting in Abilene? This particular study abroad is different from going to Oxford or Leipzig because we really are all together most of the time. There were even a couple of places where we stayed in one big house. It’s very different because in Abilene you are with your students in class and then they do their own thing the rest of the time. On this study abroad we usually eat together, we travel together, we spend much of our free time together, plus we have class together. You really get to know each other and, as the students said, you become more like family. What were your favorite moments/experiences of the trip? Well, I love the fact that we are outside so much and that even when you are “inside” you are usually outside. In many ways life is harder but in many ways it’s simpler. The pace of life is slower and the people put more emphasis on relationships than on to-do lists. Most of our students found the Latin pace therapeutic. There were many great experiences but one of my favorites was going in the butterfly house. The house was full of flowers and the butterflies seemed like flying flowers. It was beautiful. I also loved watching our students conduct the business training for the people at Mission Lazarus. That activity was a real challenge and stretch for our students, especially since we were having to work through a translator. They students rose to the challenge and did a fantastic job! If students could only learn one thing, what do you hope they learned? Caleb Casas, junior management and marketing major from Houston, TX. 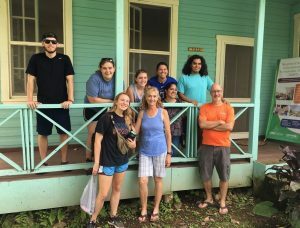 Over spring break, the Griggs Center and Halbert Institute partnered to send a group of students led by Dodd Roberts with Dr. Sarah Easter to Honduras. 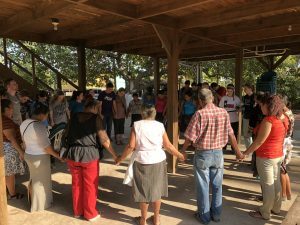 The group collaborated with Mission Lazarus to work within the communities on a service trip. Caleb Casas, a junior marketing and management major from Houston, was one of the students who went and served. Part of the trip entailed meeting with small business owners to help them with current endeavors and to develop new business ideas. 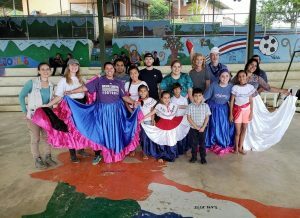 Led by Dr. Sarah Easter and Erika Teilmann, a junior management major from Houston, the group of students met for several weeks before their departure to learn about the business climate of the communities they would be working amidst in Honduras. They researched the businesses, resource availability, education levels, income levels, and more. The group kept it a priority to remember that they were not the experts and that they need to trust the people that actually live and work with people in those communities, the people that understand the everyday circumstances, to determine the feasibility of an idea. The students were challenged to read Philippians 2:1-8 before going into the communities to prepare a servant heart within themselves and to learn of and how to imitate Christ’s humility. 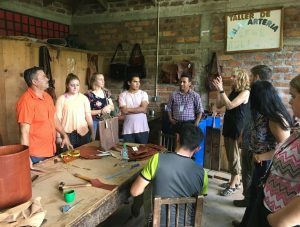 Caleb and the other students met with locals in Namasigue and Cedeño, villages in Honduras, to help build existing businesses and develop new ideas. The people talked about how they would use their businesses to help out the community: to make it possible for everyone to have a little money to buy from one another, to send kids to school, to give to the church, to employ others, and more. In the Namasigue village, all of the businesses are tied together. If only a few people operate a business, then the rest of the village would be unable to purchase from them and would force business owners to sell to ‘coyotes,’ people from bigger cities who come to purchase products in the villages at an extremely low price. It seemed to Caleb that the people had an excellent grasp of how to operate a business in the village but desired feedback on their ideas. They taught the villagers basic accounting so that they could better run their businesses by keeping accurate records, financial statements, and balancing the cost of the business. Both the students and the villagers were able to learn a lot from each other. For example, they met with a woman who planned to sell pigs and wanted to start off with ten. The group encouraged her to start off with three and to buy three pigs every few months so that she had a cycle of product and a steady stream of income instead of trying to sell all of her pigs at the same time. The group suggested that she purchase a male and female to begin breeding so that she wouldn’t have to buy pigs to resell but the women explained that the time and money it takes to breed with the resources available to her was too great for her to ever make a profit. The students also built latrines in the villages as a part of Mission Lazarus’ public health campaigns that aim to engage the community through health promotion and prevention and share essential health teachings with families and communities. The latrines were a tremendous step in both sanitation and privacy for families in the communities. Caleb was struck by how something as small as a latch on a bathroom door gave people basic human dignity. “In America, we don’t have to ever worry about finding a private bathroom to use no matter where we go,” said Caleb. “But the simple act of installing a two-dollar latch allowed these people to go about their business in private and gave them dignity. 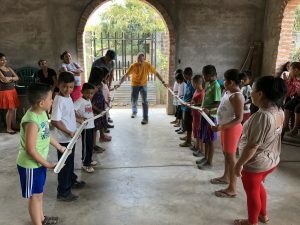 There was a man who had gone over eighty years without a private bathroom and I was struck by how often I take something like a toilet for granted.” Caleb was also moved by the Hondurans’ gratitude and willingness to work. “They didn’t want us to do the work for them but wanted to work alongside us,” he noted. For the families to even receive a latrine, they had to dig the hole themselves before people would come install the physical latrine. For some people, this meant digging a twelve-foot hole with nothing but a shovel and a chisel. One man chiseled through two feet of solid rock alone. Even though they had done all of this back-breaking work to lay the foundation for the latrines, when the students came to install them, the villagers worked alongside them, helping mix and lay concrete, drilling, and installing the roof. After they had finished installing one of the latrines, a man came and gave them mangoes, which was all he had to give. Caleb was amazed that the people were so grateful that they were willing to give up all that they had to say thank you to the students. Caleb was absolutely impacted during his time in Honduras. The opportunity to serve and work alongside the people in Namasigue and Cedeño showed him how God works in incredible and mind-blowing ways and His plan is always good. Caleb looks forward to the potential to return to Honduras soon and is even talking about going back this summer. Dr. Brad Crisp officially began his tenure as the Dean of the College of Business Administration in June and has been building an agenda since for his new role. One of the items on that agenda has been to reach out to and connect with alumni from the College of Business and the School of Information Technology and Computing, giving alumni and friends an opportunity to meet or reacquaint themselves with Dr. Crisp as well as learning more about the state of our college and what our plans are for the future. Thus, the idea for the “Meet the Dean Tour” was born and implemented in partnership with the Alumni Relations Office. The tour began in Abilene with 56 alumni and friends and at each stop, Dr. Crisp illustrated ACU’s long standing success in business education and our recent path of progress with our School of IT and Computing. 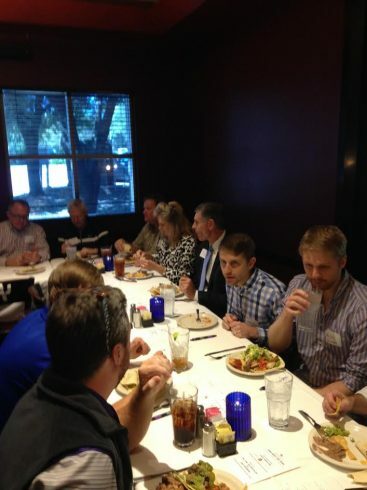 Along with our first event in Abilene, alumni and friends gathered in Austin, San Antonio, Dallas, Fort Worth, Houston and Silicon Valley at networking breakfasts and lunches. Alumni who graduated within the past 10 years were invited to join Dr. 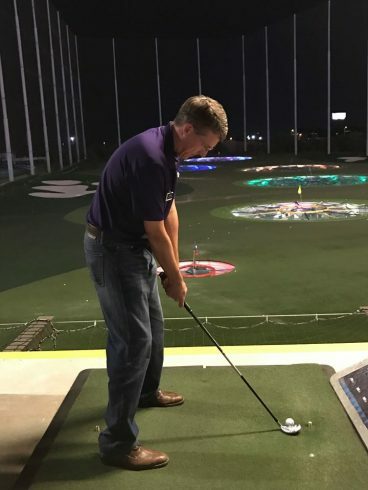 Crisp for a “Beat the Dean” event at Top Golf in several of these cities, as they attempted to best the new Dean. It was a fun time of networking and Dr. Crisp was able to withstand the challenge brought by our young alums. Not only were we able to reconnect with alumni, but we also met with parents of current students as well as prospective students and their families as they sought to learn more about the College and our programs and opportunities. Recent graduates were hard at work at these events, helping us connect students to internships and job opportunities in their organization. 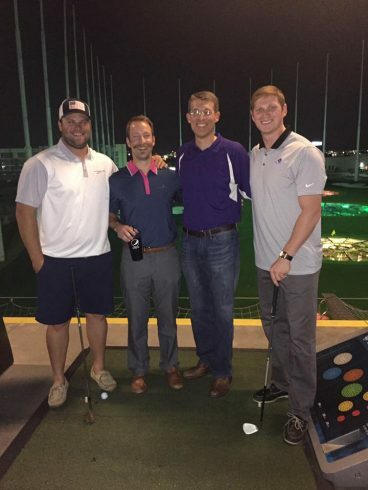 Alumni who have risen to leadership roles in their companies expressed their desire to create and sustain pipelines of ACU talent to their organizations. Many of our alums shared stories of the encouragement and strengthening they received both professionally and personally while attending ACU. They were encouraged by Dr. Crisp’s consistent reference to our heritage of business excellence, rooted in our personal commitment to living out the mission of Christ and bringing this mission to the workplace. Today, Dr. Crisp leads a College offering 5 business degrees and 4 technology degrees at our Abilene campus, the Griggs Center for Entrepreneurship and Philanthropy which is leading the nation in student engagement for entrepreneurship programs, and the new Lytle Center for Leadership and Faith Development which is continuing our Distinguished Speaker Series and Leadership Summit course. The reach of ACU’s mission to educate Christian servants and leaders has expanded with the on-line MBA program, offered through the ACU Dallas campus in addition to our residential Master of Accountancy program and additional on-line graduate programs are in the discussion phase. The College of Business enjoyed an enrollment of exactly 1,000 total students this fall and is positioned for additional growth. Our Master of Accountancy and Computer Science programs supply a steady stream of employers coming to campus to interview for talent as the changing landscape of business is driven by technology and entrepreneurship, demanding ethical leaders in this rapidly transforming environment. 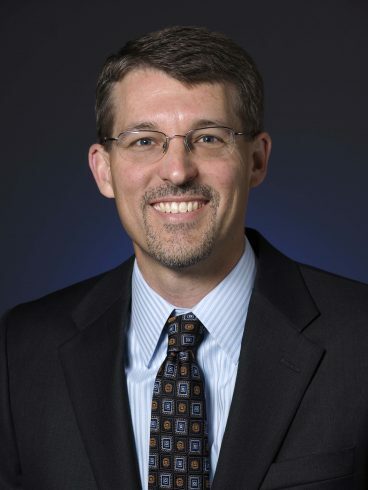 The opportunity to begin Dr. Crisp’s tenure by connecting with alumni was emphasized by an intentional effort to listen to and involve alumni and friends in our efforts to develop the next generation of business and technology servant leaders. All in attendance were encouraged to give us feedback via an on-line survey. If you were unable to attend one of the stops but would like to give feedback as we continue to shape the direction and future of ACU’s College of Business and School of Information Technology and Computing, please fill out the survey by clicking on this link. Your support of our work to educate business and technology professionals for Christian service and leadership throughout the world is a great encouragement to us and we cannot achieve our goals without support from alumni and friends. Thank you! BS Communication Disorders, (Speech Pathology). I have been at home with my children for the past 13 years, with small part-time jobs on the side. Now that they are all in school, I’m enjoying the opportunity to work for the Griggs Center. I am the Springboard Program Coordinator for the Griggs Center for Entrepreneurship and Philanthropy. I help with fundraising, coordinate our business model competitions for both students and the community, and provide training events for aspiring entrepreneurs. I enjoy their energy, creativity and enthusiasm. 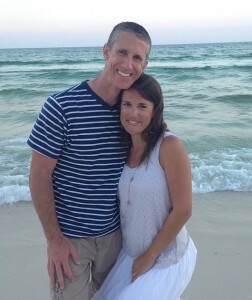 I love being with my husband and four children. I love to travel and eat and experience other cultures–this may be because I’m a ‘Third Culture Kid.’ I enjoy reading and singing. Also, I love to climb things. Especially trees. What is a good, early story about your first job or when you were in college? My very first job was scooping ice cream for a family-owned, homemade ice cream shop. I had a very strong right arm at the end of that summer! My family and I are a mentors for arriving refugee families through the International Rescue Committee. These families have become our real life heroes as well as our dear friends. Their stories are humbling and inspiring. I am very passionate about serving this community of people and would love to tell you more if you’re interested in volunteering! Corrie ten Boom and Rosa Parks- I admire their strength and tenacity and their willingness to take great risks for ideas they believed to be important. Teleportation. This would allow me to travel anytime to anywhere. I lived in Iceland in the late 80’s. Tis the Season for Internships! COBA encourages students to go outside of the classroom and gain real working experience from companies in the business world via internships. 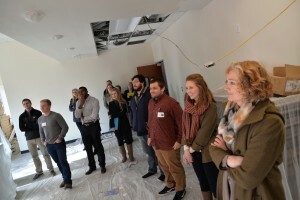 In addition to classroom preparation for job and internship searches, the COBA Connections and Career Development team aids students by connecting them with internships to businesses and industries that the individual student is interested in. These internship experiences allow students to learn from experienced mentors and discover what field of work they may have a passion or interest for. Some of the companies COBA students have interned with in the last year include World Vision, Holt Lunsford Commercial, PFSweb, USAA, Sam’s Club, Walmart, and Northern Trust. Cason Ford, a senior marketing major from Burleson, TX, learned a lot about the oil and gas industry through his internship with Dunaway Associates, L.P., an engineering consulting services company. At Dunaway, Cason spent time working with a project manager in the office as well as working on a land surveying crew, learning about project management and the process of business operations. 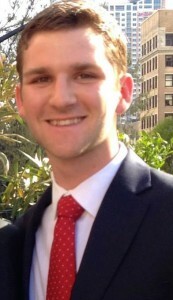 After graduation, Cason will work as a financial professional for AXA Advisors in Austin. 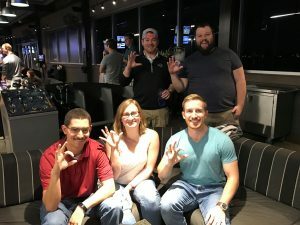 With the help of the COBA Connections Career Development office, Cason was able to connect with an ACU alum who is on the AXA team in Austin. In addition to the Connections Office, Cason is also thankful for the experience he gained with Dr. Terry Pope and the STAR (Student Trading and Research) program, enabling him to learn the business terminology and financial knowledge that he will need for his career. “I feel confident entering this position because of the knowledge and skills I have learned while studying in COBA. I have learned the value of possessing and practicing with an entrepreneurial spirit, which is what I will need in my career,” says Cason. 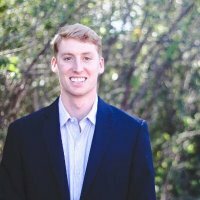 Connor Osburn, a senior finance major from Southlake, TX, and the current President of Wildcat Ventures, has interned with both Holt Lunsford Commercial and Heil Trailer International. 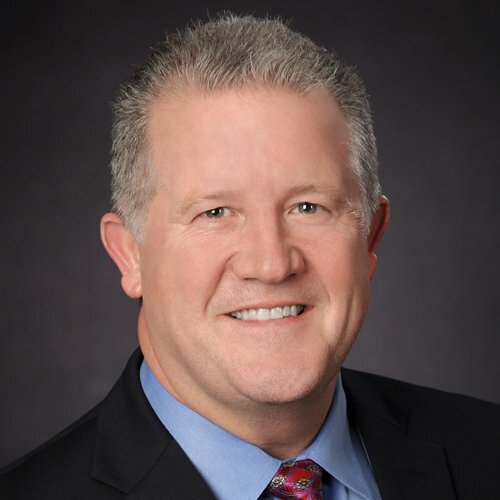 While at Holt Lunsford Commercial, he learned the ins and outs of commercial real estate, discovering how new developments can reflect the strength of a region’s economy and that location is key in any real estate investment. Going forward, Connor would like to pursue a finance role, specifically in analytics to identify young, promising companies. He is also interested in alternative energy/green technology and can see himself working with projects and companies in this industry. Natalie Lemieux, a junior from McKinney, TX, has excelled with her internship experience. Natalie is pursuing a major in information systems with a minor in international studies and information technology. 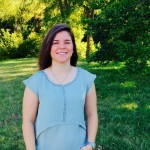 Last summer, she interned with Lennox International as a Commercial Business Systems Intern. Her biggest takeaway from the internship was learning how to deal with project management and the flexibility within handling those projects. This summer, she will be interning with PricewaterhouseCoopers with the Technology Consulting team. Eventually, Natalie wants to pursue her MBA in international business. Natalie is grateful for the Connections Office and COBA professors, like Dr. Brad Crisp, who helped her find these particular internships. 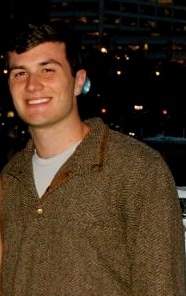 “COBA’s atmosphere really helped to prepare me to be in a professional environment. I know that I have set myself apart from many other applicants that have applied for these positions because of the relevant hands-on experience and projects I have done inside of the classroom,” says Natalie. 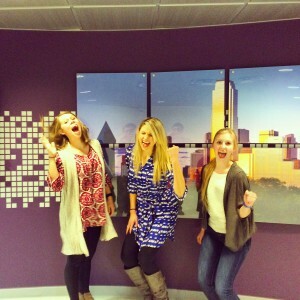 Cason, Connor, and Natalie are only a few of many students who have interned while at ACU. Through faculty and the Connections Office, COBA aims to provide students with internship opportunities in the specific career fields that students are interested in pursuing. Internships are the perfect way for students to gain exposure to different companies and industries, allowing them to gain an advantage when looking for jobs after graduation. 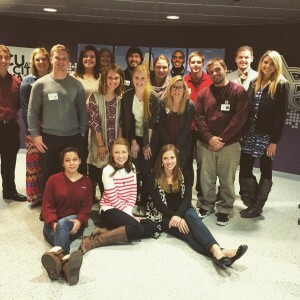 Congrats to all students who have interned and are planning to intern this next summer. Sixteen ACU students had the opportunity to study Social Entrepreneurship at City Square in Dallas during a January short course. The class was taught by COBA professor, Dr. Laura Phillips. In the short one-week time period, the class covered a wide range of topics related to starting and running a social enterprise (nonprofit or for-profit that has a social mission at its core). Speakers who currently run these types of enterprises, as well as those who consult and advise these organizations, came to share with the class about their own unique experiences. In addition, the class included student presentations on various topics and case study discussions. Students were also taken on a tour of City Square, hearing about how the business operates and ways they are trying to expand. Many of the speakers were ACU alums, including Robyn Wise, Scott Orr, and Don Crisp. 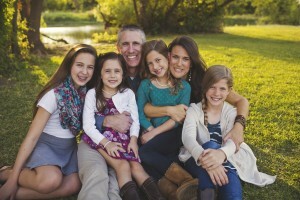 Scott Orr, an ACU and COBA grad, has served in many roles for nonprofit organizations as well as for-profit companies. He is currently the Vice President of Public Affairs for Fidelity Investments. Scott’s Mantra: Using strengths to accomplish greatness. Jerita’s Mantra: Bloom where you are planted. Jerita Howard, an Abilene resident, also came to speak to the class. 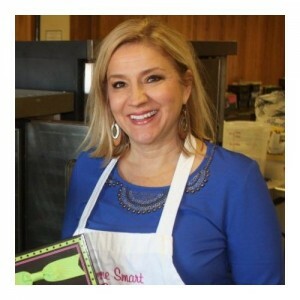 Jerita is the owner of One Smart Cookie, an online gourmet cookie and brownie gift package company. Like Scott, Jerita has also served in various roles throughout her professional career. Both of these entrepreneurs provided valuable insights on business operations and social enterprises. Dr. Laura Phillips loved the broad mix of majors that were represented in the class this year. She says, “The class succeeds because of the knowledge, experience, and honesty of the 14 guest speakers. While not all of the students who took the class plan to start a social enterprise, I think all of the students benefited from the class.” After taking the class, she hopes students feel equipped to work with social ventures in the way that fits their life and career goals. Startup Week and Elevator Pitch Welcomes Entrepreneurs! In November, the Griggs Center for Entrepreneurship and Philanthropy hosted the first annual Startup Week. The CEO student organization along with the Griggs Center were busy with several activities during the week, including an Alumni Entrepreneurship dinner on November 18, a CEO chapel on the 19th with guest speaker Toby Thomas, and ending with the final Elevator Pitch competition after the chapel. The goal of the Springboard Elevator Pitch competition was to get students to create and present their idea, giving them the opportunity to gain real experience working with entrepreneurs. 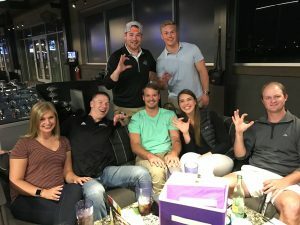 Three weeks prior to Startup Week, participants presented their Elevator Pitch ideas in front of a group of local entrepreneurs and ACU faculty members and learned how they would be judged as well as the deadlines for the competition. At the dinner on November 18, the 10 finalists were announced. The next day, the pitches were heard and the winner received $1,500 cash for the idea. The winner of the Elevator Pitch was COBA major, Colby Hatchett, a junior marketing major from Fort Worth. His idea was The Mullet, a restaurant concept where parents could enjoy a nice meal at the front of the restaurant while their children would be fully taken care of in the back of the restaurant. After the pitch, Colby said he was incredibly grateful to meet entrepreneurs working in the marketplace and gain real experience from the competition. Overall, the competition was a great success. Some unique ideas were presented during the pitch and it was great to have so many ACU and COBA alumni back on campus. COBA is proud to see such amazing business and Christian leadership in the marketplace. Again, congratulations to COBA student, Colby Hatchett, on winning the competition! “The Springboard Challenge is a great enhancement to COBA’s culture of ideation, creativity, and innovation. This competition pushes our students and culture in a good way!” says Dr. Rick Lytle, Dean of the College of Business. Over the fall break, students from the Griggs Center for Entrepreneurship and Philanthropy and the School of Information Technology and Computing traveled west to Silicon Valley. Dr. Jim Litton and Dr. Brad Crisp led the group of 16 students to visit and explore several tech companies varying in size and function, from start-ups to some of the most recognized companies in the world. Some of these included Google, LinkedIn, Circa, the Silicon Valley Bank, Livingly, Yahoo! and Square. Students were able to learn about the fundamental principles of technological companies as well as having the opportunity to network with alumni and potential employers. 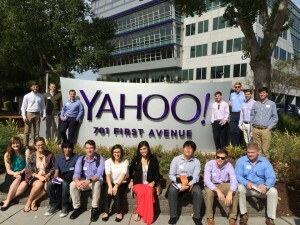 COBA and SITC students tour Yahoo! Connor Osborn, a junior Accounting and Finance major from Southlake, enjoyed visiting Silicon Valley Bank. SVB’s mission is to “increase innovative companies’ probability of success worldwide” and is the premier bank for all venture capital firms. The group learned about the services the bank offers as well as the complex system by which the capital is distributed, put to work, and then returned. 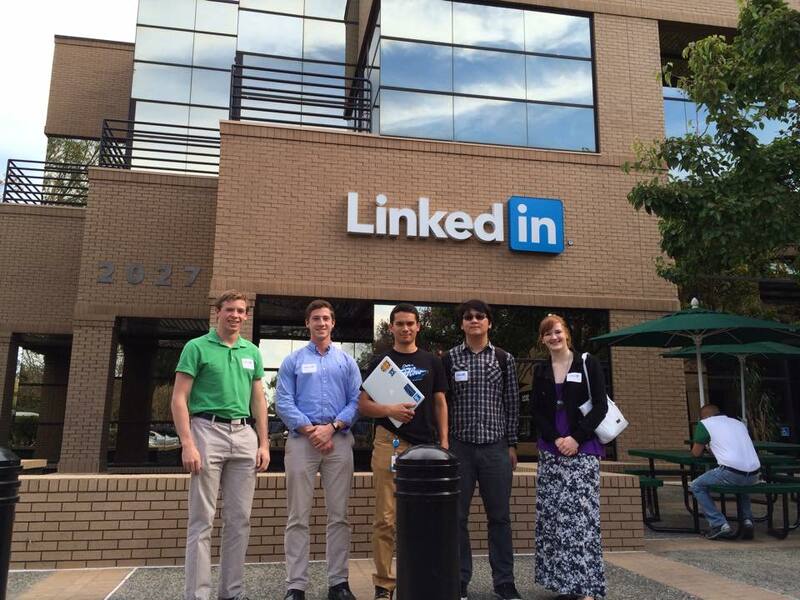 Students were toured around LinkedIn by ACU alum, Asa Kusuma. 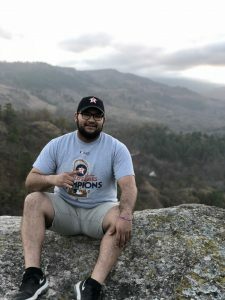 Spencer Woolfolk, a junior from San Antonio, found the trip to be highly valuable, learning what it looks like to work in Silicon Valley and the purpose and vision of the companies’ brands. The experience of personally visiting such well-known companies is unlike anything one can learn inside the classroom. Spencer is excited to use this knowledge going forward, integrating his passion for marketing with entrepreneurship and technology. “I am very grateful to the faculty that put the trip together. It was invaluable to be able to learn more about Silicon Valley and the technology field,” says Woolfolk.